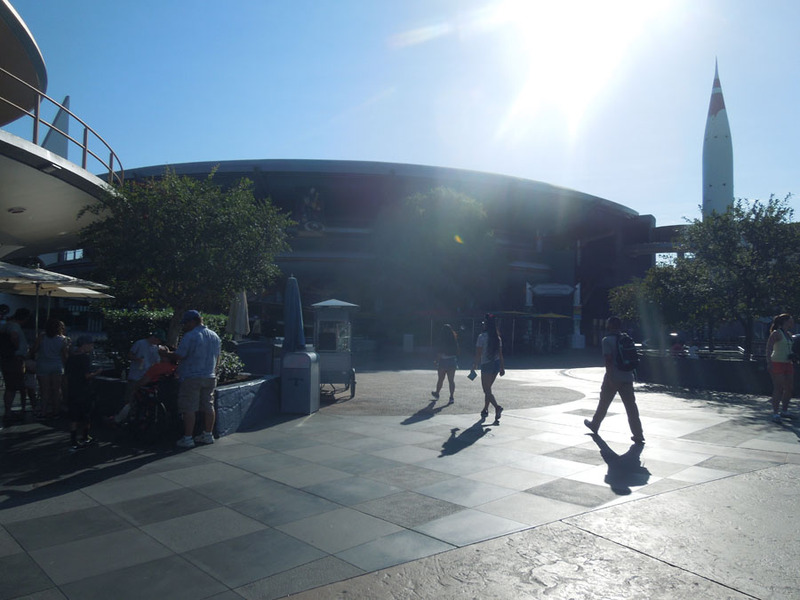 The Innoventions building is a large round building at Disneyland. 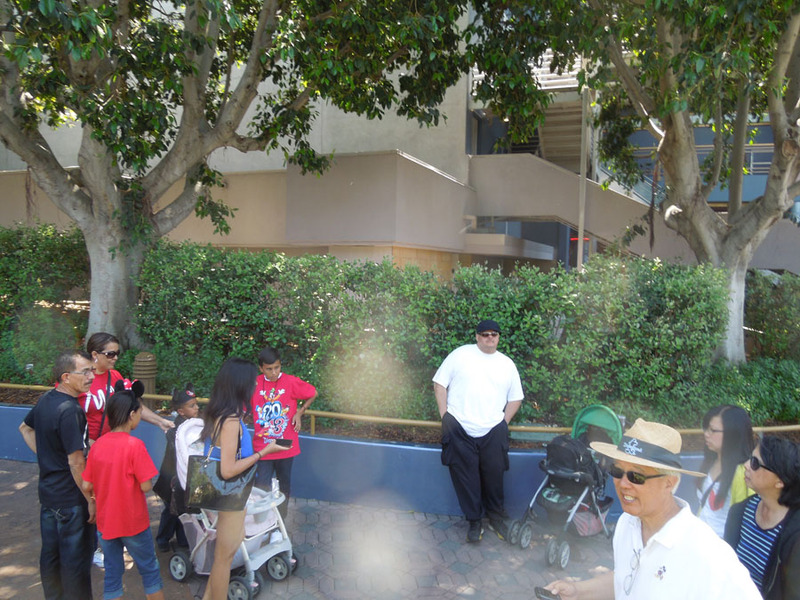 It is a walk-through of innovative technology. I've never been inside! I hope you can looking for photos of the outside. 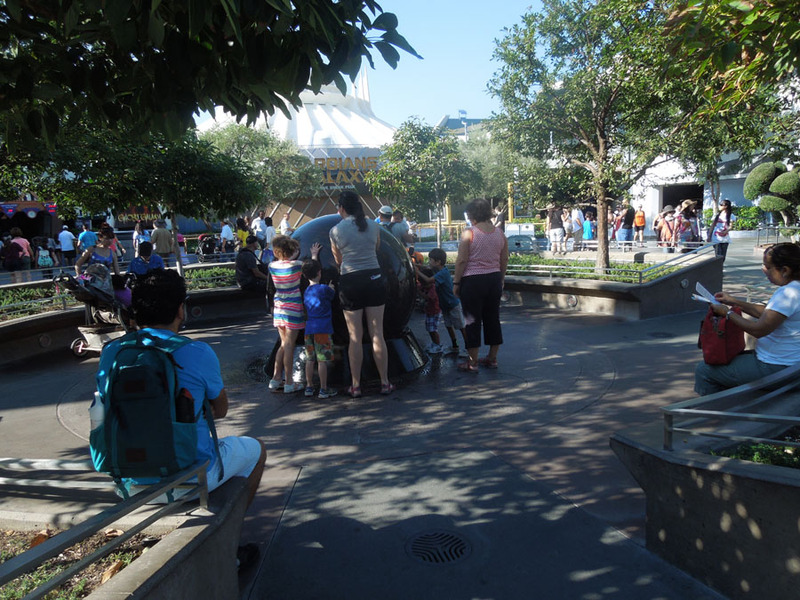 I think that is the entrance arch on the right side of this photo. 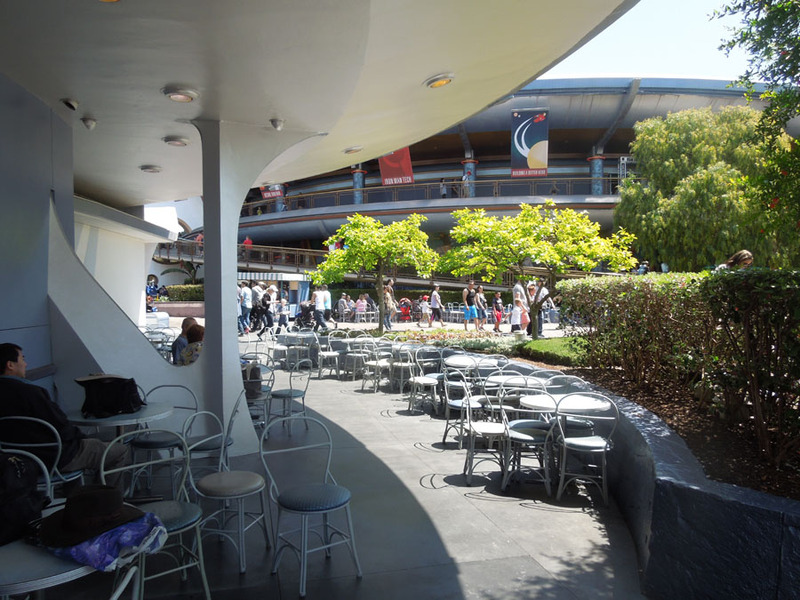 One side of the round building has a huge triangle-shaped support. 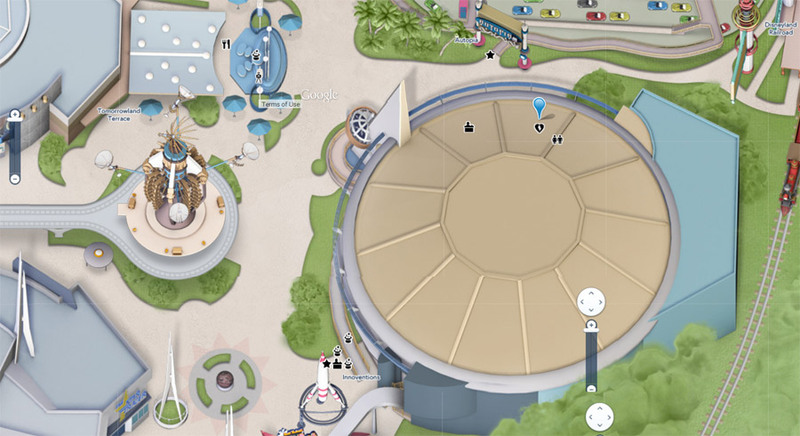 The triangle kind of points to Tomorrowland Terrace. 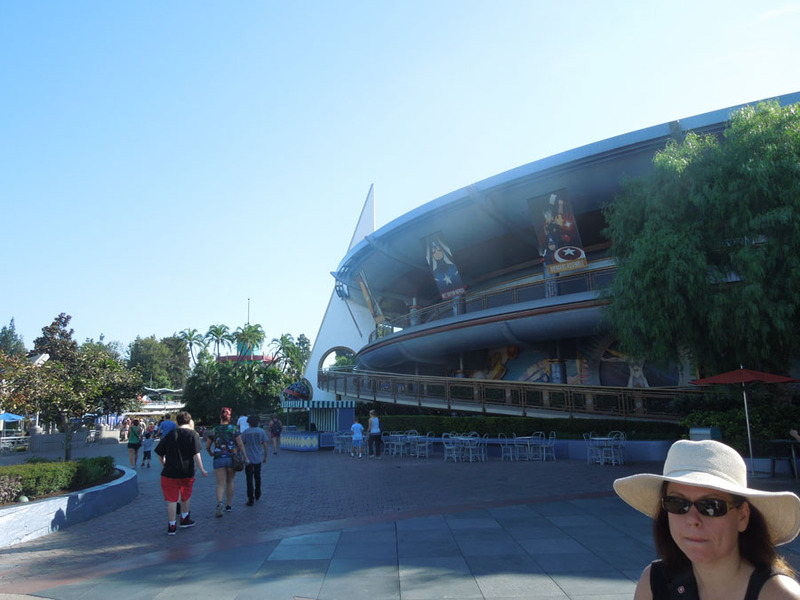 At the bottom of the triangle is the Innoventions globe/clock sign. 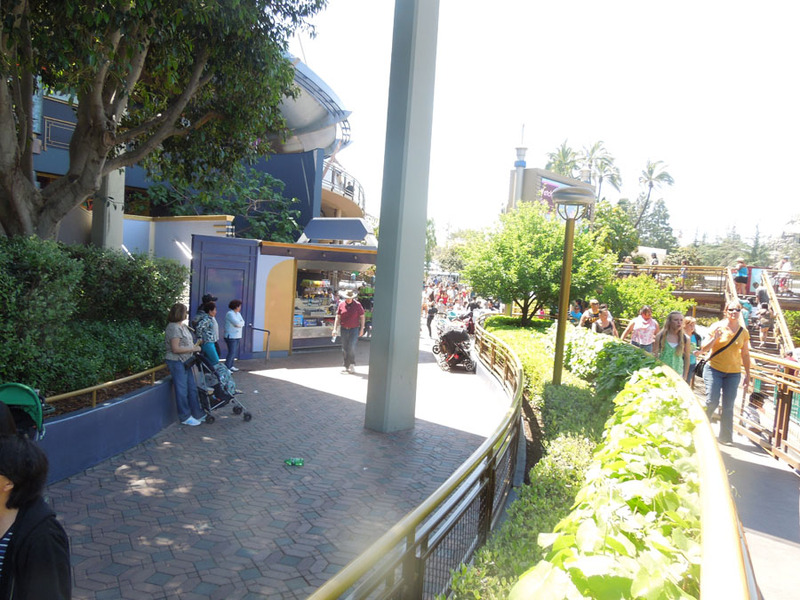 Th building is surrounded by a long, sloping walkway, but I can't recall ever seeing anyone on it. 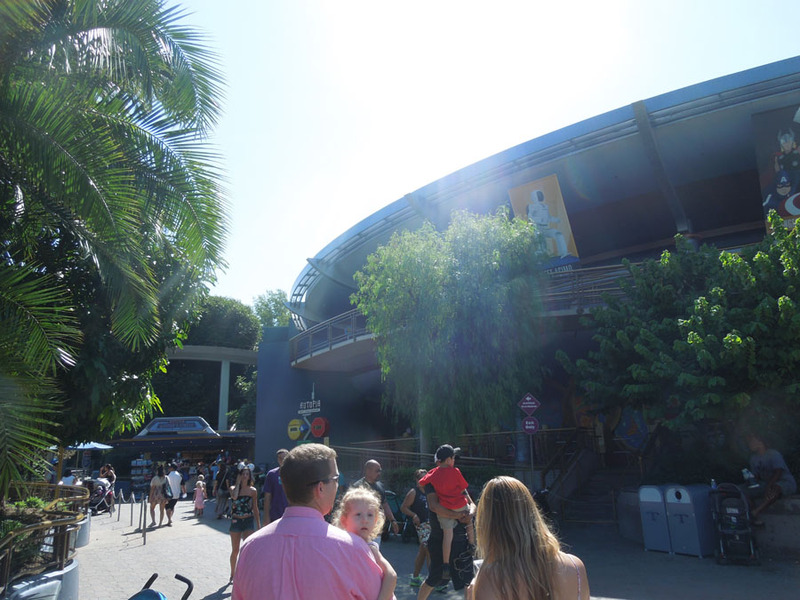 Here's the view of the Innovations building from the south side of Tomorrowland Terrace. 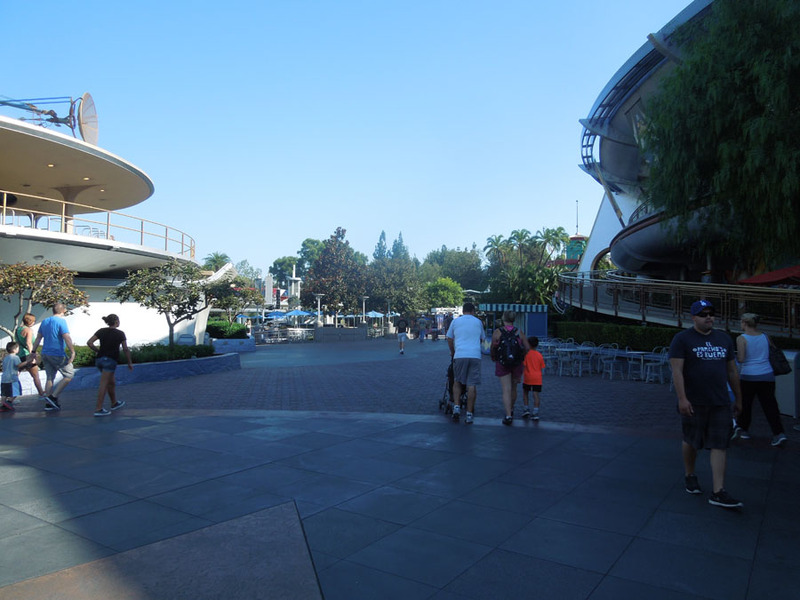 Here's the view looking out from the Innovention building, southwest towards Space Mountain. 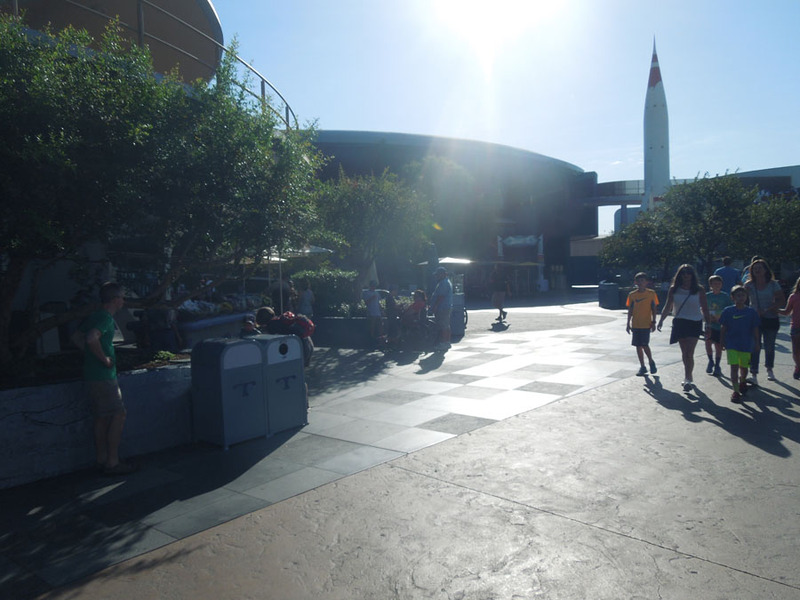 Innoventions globe is visible on the left side in this photo. 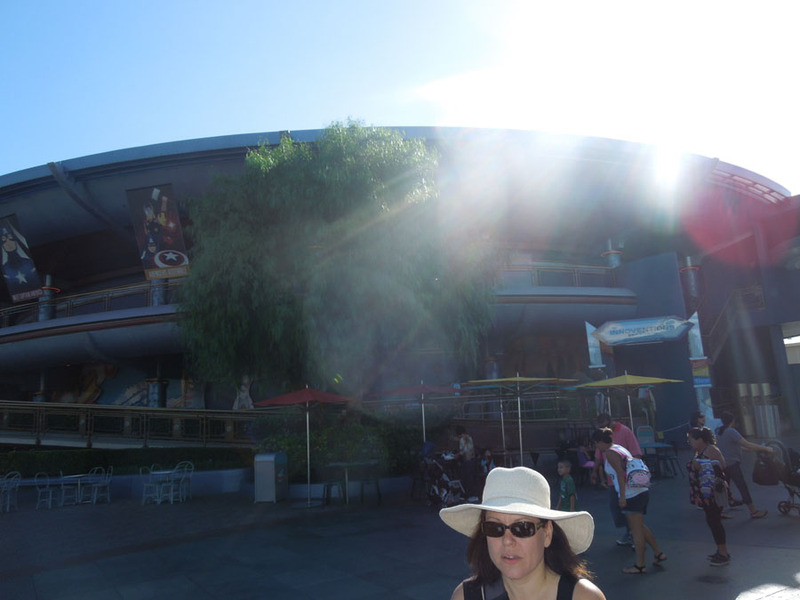 The Innoventions building from the north, near Autopia. 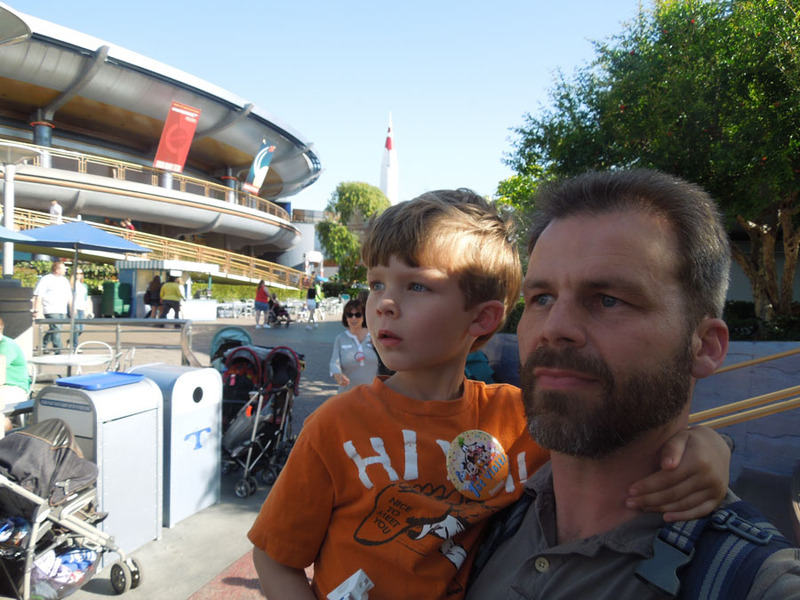 Pizza Planet and the rocket. 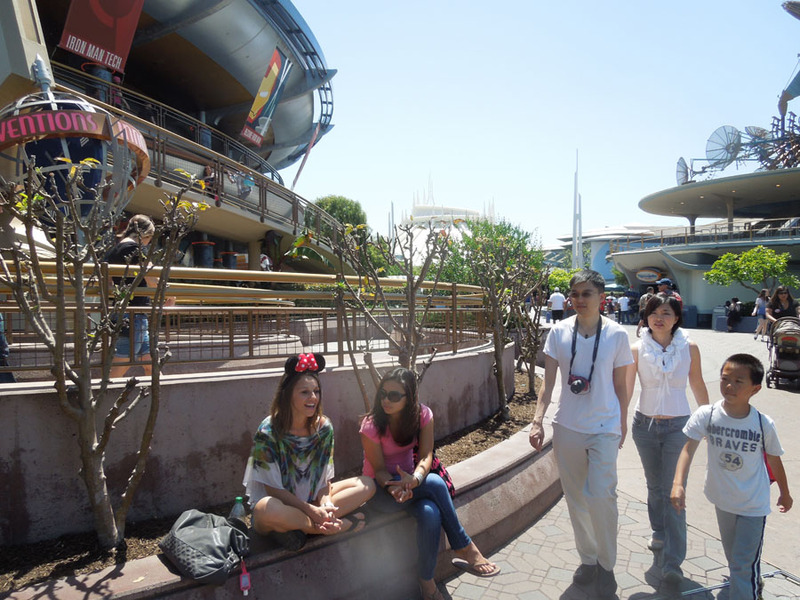 Looking over our shoulders at Innoventions while observing Jedi training. 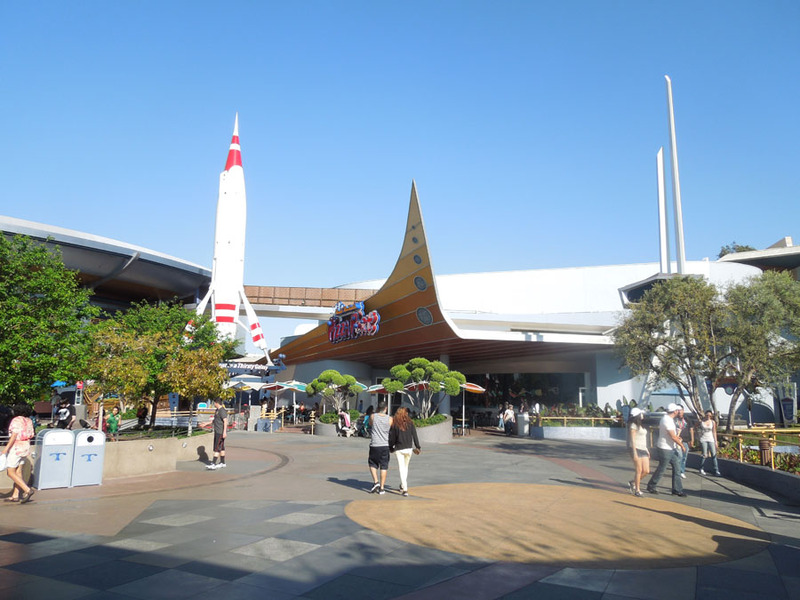 It's a large building, not just because of its area, but also its height. 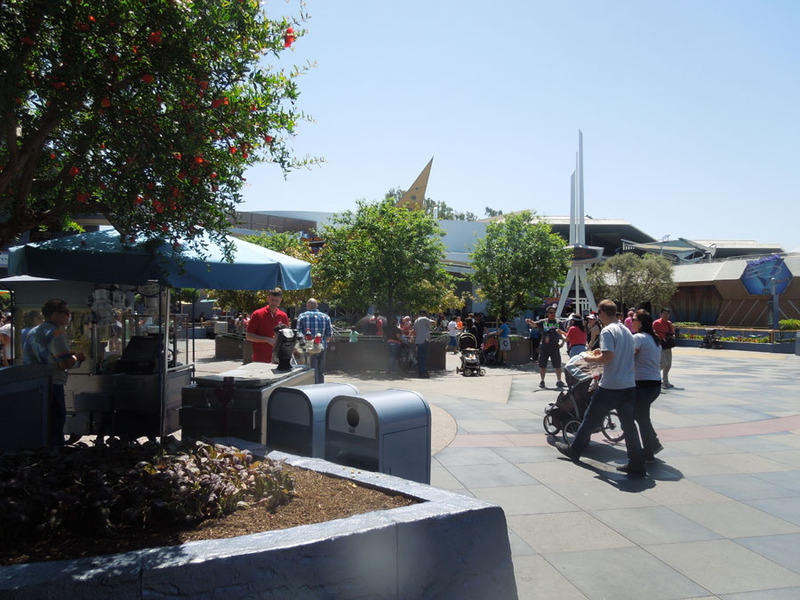 Looking north past the Innoventions building. 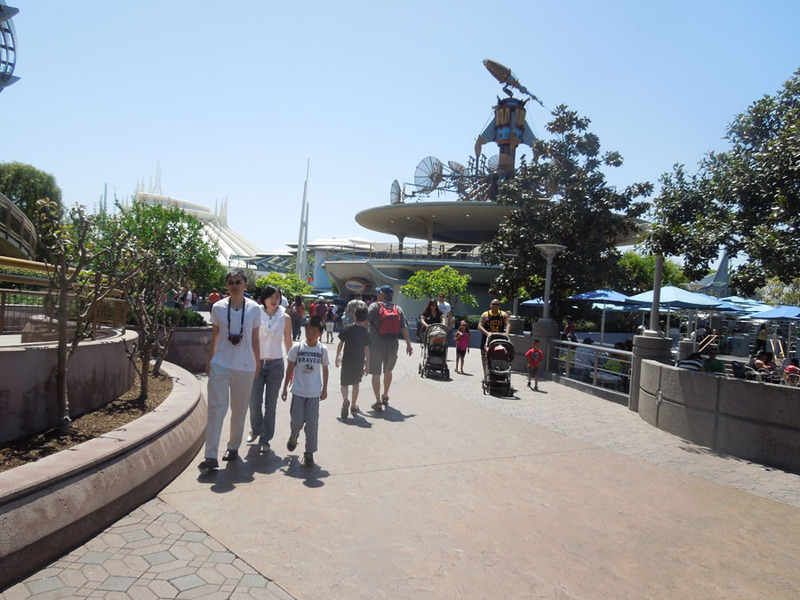 Looking south to Space Mountain. 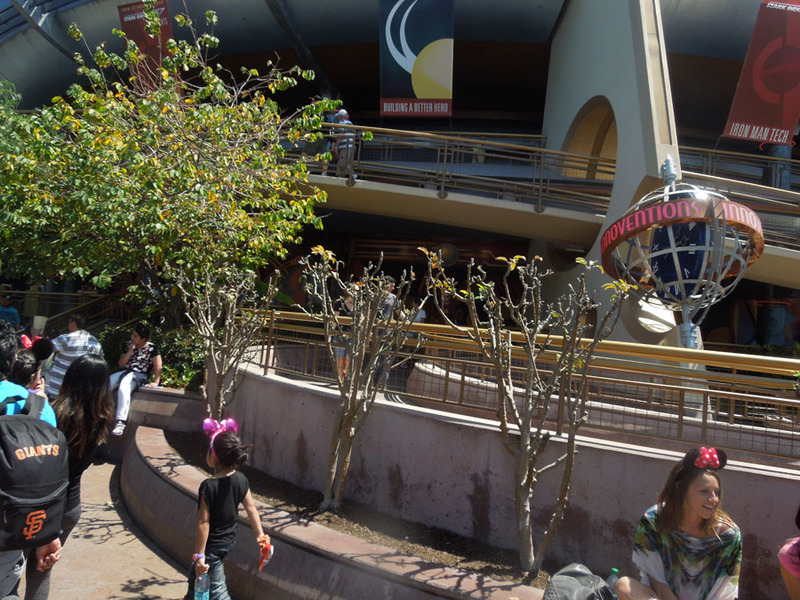 This is a water-globe attraction.